Ever won the lottery or a lottery game? If you did, you've won yourself loads of money. This is a legal get-rich-quick deal especially if you win major prizes. Not all governments allow for lotteries, though. You sometimes may hear of major prizes for the lottery that go unclaimed or in which nobody has won. As a result, lottery prizes just go up and up. Lottery games usually consist of things like trying to match up the ping pong balls with numbers on them. Matching as many numbers as possible improves your chances of winning bigger cash prizes. You could even go to vending machines that dispense lottery tickets and lottery games. For example here in Houston, you could play a lottery game where you could win big cash prizes and even a handful of Houston Texans prizes- such as joining the team on a private jet or having a party at one of the suites for the Houston Texans. A lot of the revenue from lotteries often times go to not only whomever wins the prizes, but also to fund various projects and various other causes. So it isn't as if the money is just blown haphazardly and nonchalantly. I am sure a lot of my readers wished they won the lottery (if allowed by their governments) so they could have loads of money to be financially stable for a long time. You could have a "minor victory" if you play a lottery game and win only a few US Dollars. You certainly want the big prize but come up short. Still- better than nothing to not win the big prize. What If You Win "The Big Prize?" It depends. The smart thing you'd want to do is to properly invest and manage that money. You don't want to win (for example) $200M USD and end up blowing it all on building or buying your own Formula 1 racing team. I would probably think about trying to manage paying off certain things, like paying off financial aid from college or getting out of bankruptcy. Then maybe think about things like homes, cars, and certain other luxuries. Why not take advantage of the money? Think long term if you're smart, though. Even if you win the big prizes from lottery games, you still have to pay some taxes or whatever. So you don't get the exact prize in full. But still... if you win the big prize from the lottery, CELEBRATE! Take full advantage of the winning prize. Of course, make sure to wisely use your winnings. Winning the lottery has the potential to change lives forever. You may or may not be fortunate to get the big prize, but you'll never know unless you try. So be sure to try your hand at the lottery if it is allowed around your way! What would YOU do if you won the lottery? What change could winning the lottery provide for someone? Have you maybe won the lottery? You all have a great day/night. 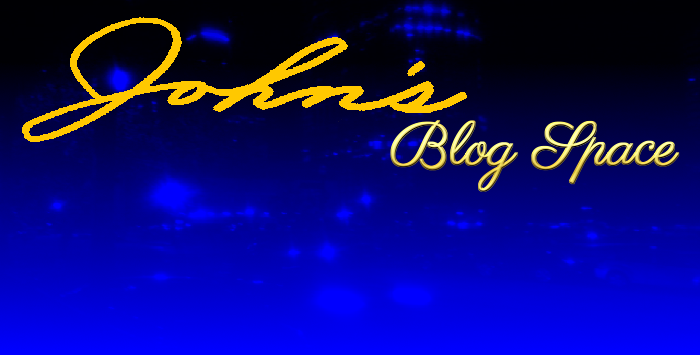 Make sure to stay with "John's Blog Space" for my brand of "anything and everything" on the topic front. I'll blog about almost anything at almost any time. The element of surprise alone is good reason to stay with my blogs. So Subscribe and Follow in some capacity if you enjoy my blogging work. Thank you for reading! Take care and be well.